Whale sharks, wounded Wings and Arnold, the Estonian. Life’s been pretty exciting lately, even if this blog has been quiet. I’m head down on lots of work, and deep in the first draft of the ‘Roll With It’ sequel, which is why I’ve been slack about writing hockey stuff down. But I have been living it. For example, tonight, one of my old Interceptor teammates, Dan ‘Yoda’ Byrne, is in town and so we’re getting the band back together, to play the IBM Business machines at the Icehouse. Should be fun. With summer comp over, all of my current hockey is in this vein of playing for fun, or development on Wednesday nights. I’ve found my intensity has slipped a little, but I’m ok with that. Next summer feels a long way away. I might also be affected by the fact Tony Abbott is probably hunting me as I type, determined to dump my arse on Nauru or, worse (if that’s possible) Manus Island. You see, I am now an officially rejected boat person – turned back from a country’s border and refused entry. I was on a dive boat a few weeks ago, headed for Burma, to look for manta rays as a scientific project for the Marine Megafauna Foundation, when the Burmese officials decided not to let us through. It didn’t ruin my week too much, given I had already hung out with manta rays, a whale shark (only a baby at five metres long) and an octopus, doing the whole try-to-turn-into-coral routine. We turned back into Thailand and visited amazing islands for the remainder of the week, even if the mantas deserted us. 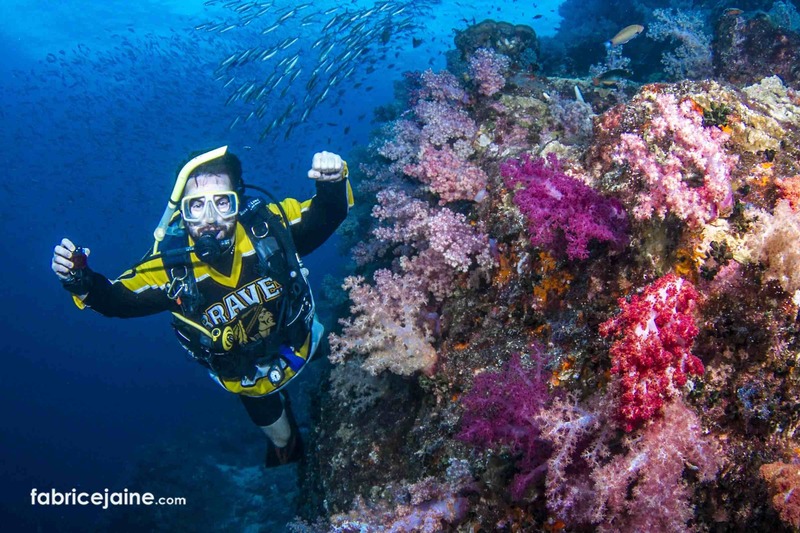 Mixing hockey and diving underwater off Thailand. ‘Yeah, that’s not going to happen,’ I said, walking away. I walked and walked and walked, wearing myself out before the plane home, and eventually made it back to where I was staying and plunged into the pool. 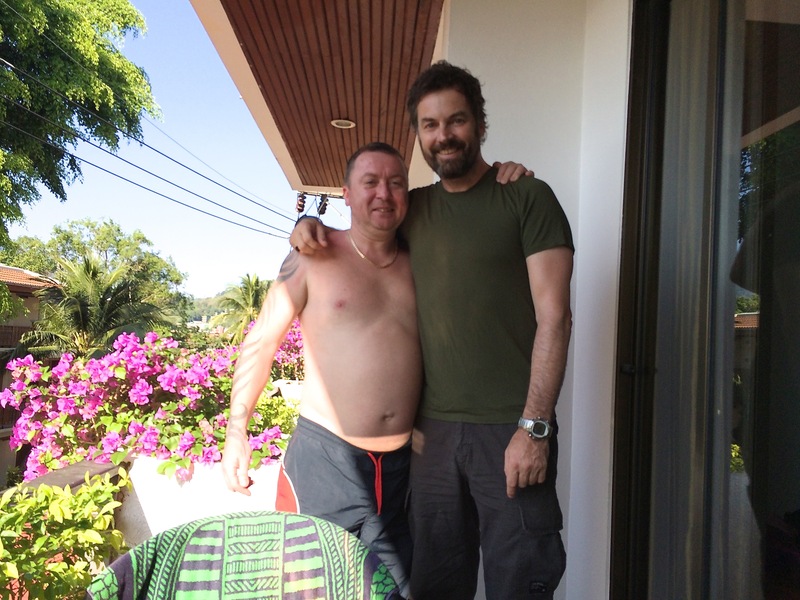 There I was joined by a European guy with bold shoulder tribal tattoos and Abbott-worthy budgie smugglers. His name was Arnold, we got talking about Estonia versus Australia and the inevitable weather comparisons and I laughed about playing ice hockey when it was sometimes 38 degrees outside the Icehouse. Turns out Arnold is in his early 40s and plays for an Estonian team called Total, based in the Estonian capital, Tallinn. Estonia’s Total hockey team. Arnold on the right, middle row. This is the team, along with their coach (who I call Chuckles), and that’s Arnold on the far right of the middle row. Turns out it’s more expensive to play hockey in Estonia, with Arnold forking out something like 800 Euros a season (compared with about $500-600, including PointStreak, here) but sounds similar otherwise. Arnold was super-keen that my team, the Cherokees, should travel to Estonia to play his. I gently pointed out that we’re all amateur hockey players, like he is, and therefore don’t really have the kind of team funds to travel half way around the world for a friendly social match. … Unless one of my teammates has been holding out on us about hidden riches. Doc? Wolverine? Milkman? We have another plan to swap jerseys, which I should make happen, just for the Hell of it. As we parted, Arnold said to me, ‘Now we are Facebook friends, we are friends forever!’ Hard to argue with that. Once I got back to Melbourne, I had my usual couple of sessions of shaking off being underwater and instead reacclimatizing to the ice. Had a brilliant stick-n-puck session with a teammate, Wolverine, where my legs screamed, and then a Dev League to get in shape for the Cherokees’ final match of summer, on the Friday night. We were beaten, again, but felt like we were right in it, for long periods. Most of us are planning to stay together for next summer and hopefully we’ll see improvement from a second year together. It was inspiring watching the Tigersharks this year, playing such a beautiful team game after three solid seasons together, even if they were pipped in the Grand Final by Jets Black, with the Blacks’ Swede just edging the Tigershark’s Canadian, two goals to one. We were definitely playing a better team game towards the end of the season, and that gives us hope. Only this morning, I saw yet another brilliant quote from the Red Wings’ coach, Mike Babcock, who I really think is one of the world’s great coaches. The Wings are still somehow in the playoff race despite suiting up a line-up that has been smashed by injuries all season, and no more than now where Dats, Zetterberg, Ericsson, Helm, Abdelkader and Weiss lead something like 10 first-team absences, meaning the Wings are a defacto Grand Rapids Griffins as they face up to the might of the Crosby-led Penguins today. So true. I quote another of Babs’ lines: ‘Choose your attitude,’ all the time. He and the Wings could sigh that the injury Gods hate them, it’s all too hard and fold, or embrace the crazy challenge of this season, skate hard and see what they can do. Choose your attitude. I’m not convinced the streak can stay alive this year but it’s truly astonishing that it’s not over yet. Go Babs. Go Wings.